Valentine's Day is a good time to cement your love. And these Bollywood actors went a step ahead, and solemnised their relationship on the special day. Here's looking at couples who got married on Valentine's Day. Arshad Warsi met Maria Goretti in 1991 at St Xavier's college festival, Malhar, where he was a judge for a dance competition and she was a participant from St Andrew's College. After dating each other for eight years, the couple got married in 1999. They had two weddings -- the church wedding was followed by a nikaah. They have a son named Zeke, 11, and a daughter named Zene Zoe, eight. In another part of the country, Mandira Bedi got married to Raj Kaushal on the same day as Arshad-Maria. The couple met each other at producer Nitin Manmohan's office. Raj Kaushal was director Mukul Anand's chief assistant, and was busy with a countdown show called Philips Top 10, for which Mandira was auditioning. They had a Hindu wedding as well as a Sikh wedding in New Delhi. Their son Vir was born in 2011. 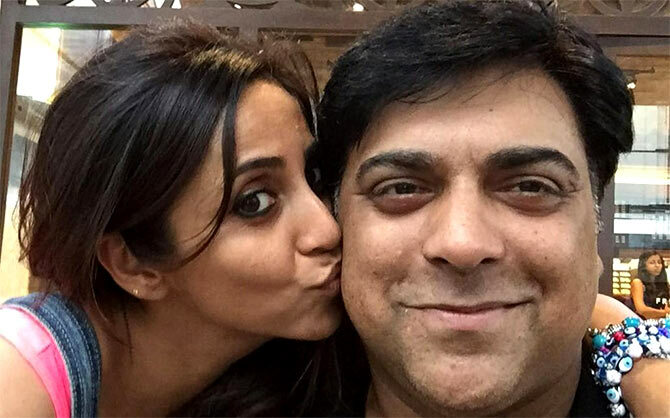 Gautami Gadgil and Ram Kapoor met on the sets of their show, Ghar Ek Mandir, and fell in love. The couple has a daughter named Sia and a son named Aks. Ruslaan Mumtaz met the love of his life Nirali Mehta at Shiamak Davar's dance academy. After a long courtship, they had a court marriage in 2014. They followed it up with a traditional Gujarati wedding, attended by family and friends. 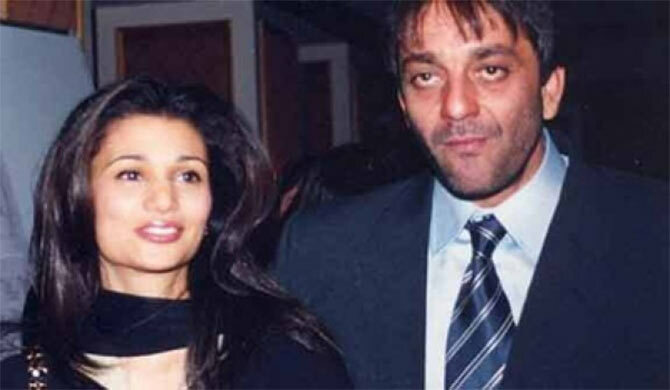 Rhea Pillai was a pillar of strength to Sanjay Dutt during his first stint in jail in 1993. She stood by him, and when he was released from prison, he decided to stand by her. They got married secretly in a temple on Valentine's Day in 1998. This was Sanjay Dutt’s second marriage. Unfortunately, it soon crumbled down, and they divorced in 2005. The same year Rhea Pillai married Indian tennis player Leander Paes. Incidentally, Dutt married Manyaata in 2008, in the month of February! Hrithik Roshan proposed marriage to his girlfriend Sussanne Khan on Valentine's Day. He went down on his knees and proposed on a beach in Mumbai. They got married four years later, in December 2000, in Bangalore. Unfortunately, the couple got divorced in 2014. 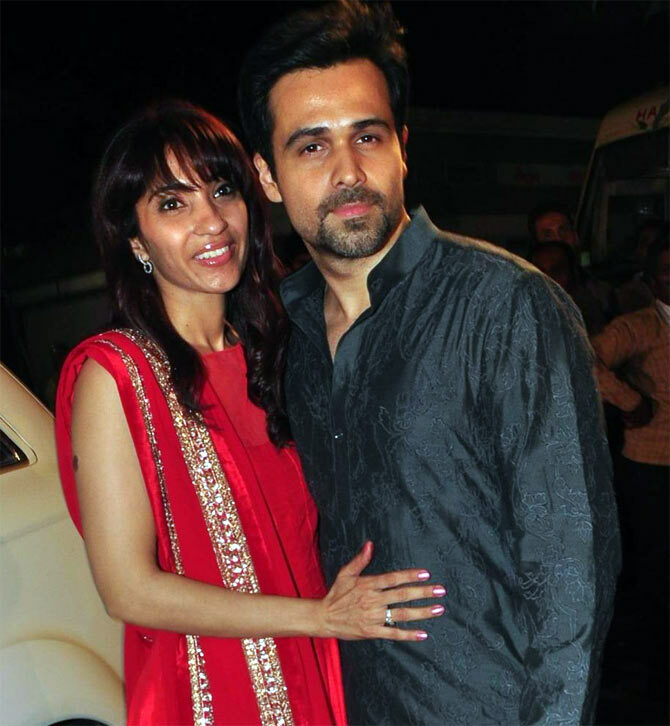 Emraan Hashmi fell in love with his childhood sweetheart Parveen, and they dated for over six years. He proposed to her on Valentine's Day in 2006, and they got married the same year in December. The couple has a son named Ayaan.